Look at that face! 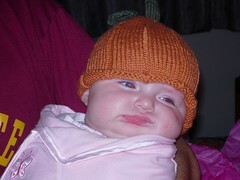 Simply not impressed with the pumpkin hat. But, her mom and dad were and that's what counts.